Every year, on my son’s birthday, I make a very special meal. 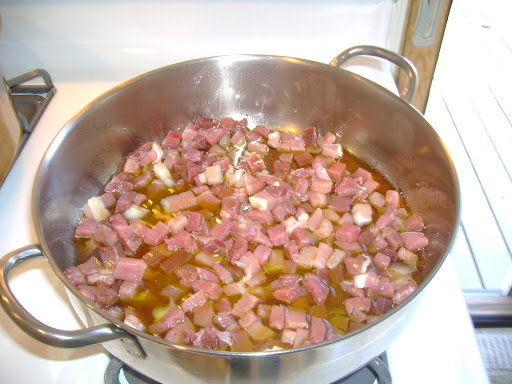 It started several years back, when my in-laws were discussing their favorite sauce, called Genovese. Now, if you’re Italian (which I am not, my husband is, and this is my MIL’s recipe. She’s about as Italian as you can get) and your family comes from the Naples area of Italy, you may have heard of it. 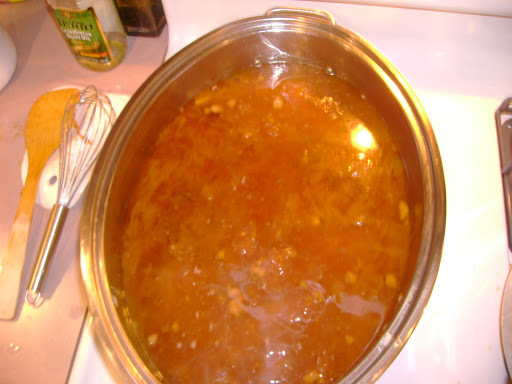 For some reason, this sauce recipe is pretty much exclusive to the Naples area. I’ve never been, but from what I understand, if you ask for it anywhere in Italy outside Naples, most Italians haven’t even heard of it. 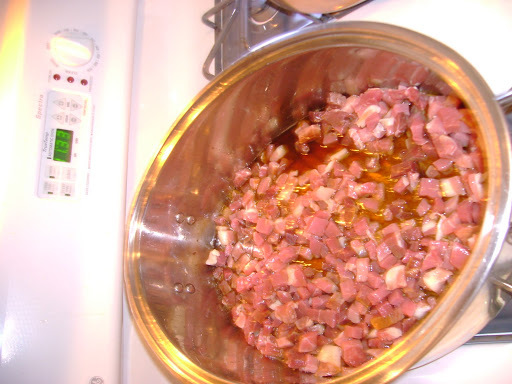 It’s actually a rather simple sauce, it consists if browning an eye round and then removing it from the (huge) pot so you can sauté diced prosciutto in the juices. 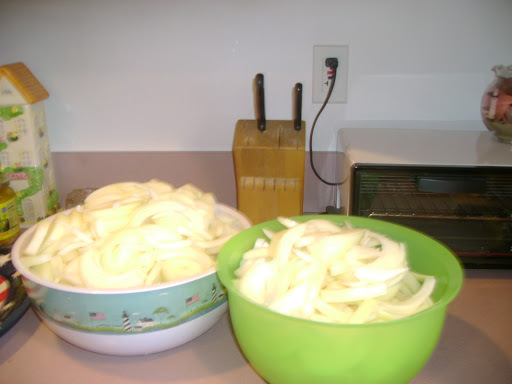 Once that’s done, you add about 15-20 lbs of sliced Spanish onions, so the pot is full. 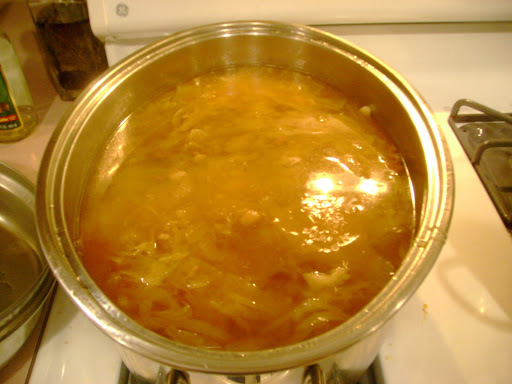 The only other ingredient is water, which you fill to the brim of the pot. 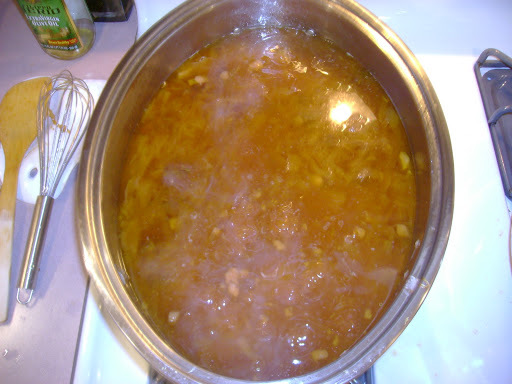 The sauce then literally cooks for about two days, until the onions caramelize and break down, making a delicious, rich brown sauce. About two hours before completion, the eye round is added back in to finish cooking before serving over pasta. 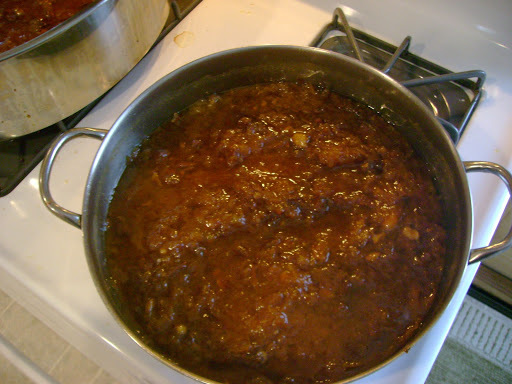 Because of the time involved, this is a sauce that’s usually made once a year, and usually in the colder months, because the house gets really hot when you’re cooking giant pots of sauce. 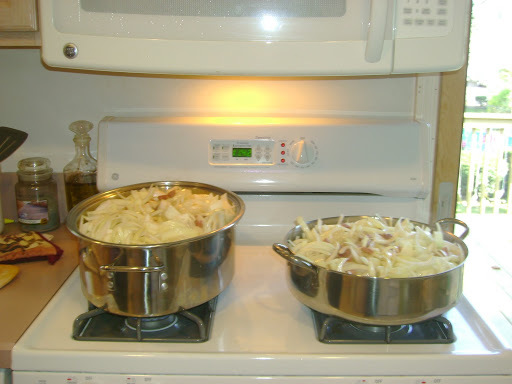 As you can see, I use a giant roasting pan on two burners, plus another very large sauce pot, or Dutch oven, on a third. 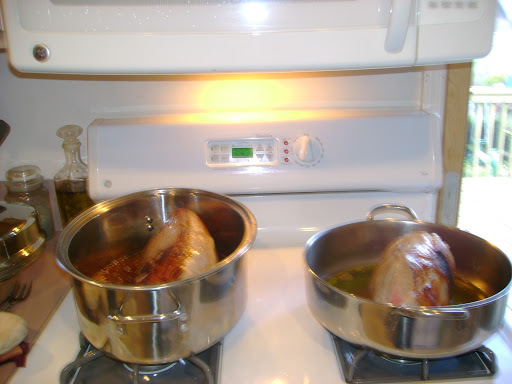 Since I usually end up feeding 25-30 people, I need to make a lot. This year will be a little different though. 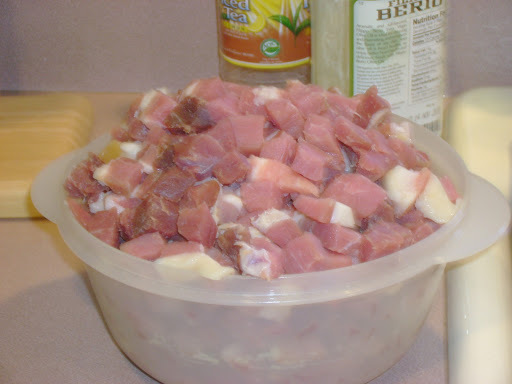 My daughter has requested I make the Genovese for her birthday, which is in January. So we are merely postponing it, but now I’ve had to come up with another idea to feed 30 people next week. And it’s not easy planning such a meal – my family has issues with what they’ll eat or not eat, and while just about everyone else doesn’t have such issues, the two or three people who do make it complicated. But I think I’ve come up with just the right recipe, which should make everyone happy. What could be easier? Chicken stew, Italian style, basically. The worst part is probably the chopping that’s involved. And to make it easier for everyone, I will be making the chicken off the bone. Easier for me to prepare and cook, easier for my guests to eat. I will probably also make a pan of sausage and peppers, since that’s always popular. And of course, 10 pounds of pasta! But the trick now is what to serve for appetizers. Other than cookies, appys happen to be my specialty, I usually bring one to every function I go to, they’re fun to eat, and my favorite parties have always been the ones where I made nothing but appys. Normally, with the Genovese sauce, I put out a traditional antipasto platter, with sausages, cheeses, olives, roasted peppers and the like. But I think I need to do something different with the Cacciatore. I am going through lists and trying to select a few faves that always go over well. But so many of my favorites, while technically easy to make, are time consuming to prepare. So I’ve that dilemma to solve – I have a week before I must shop, so that helps. A little.